Fun, engaging and interactive apps are a sure fire way to capture that invaluable student data. 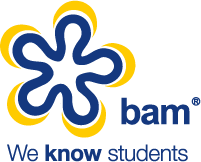 BAM creates innovative apps for brands that bring their campaign to life and engage with students whilst capturing their contact details for future marketing. Gamification can add that edge to a campaign, differentiating a brand from their competition and increasing attraction and engagement from students. Instant win prizes are a massive hit with students and provide that essential hook to grab their attention. Our specialist team can create a bespoke app to fit any specification that can include data collection, gamification and a full reporting suite where we can manage stock levels, control what is won and when, with the added benefit of working offline. Our apps provide full tech support for any experiential campaign.